Did you know that there is a fine, feature-length documentary film about mento? Called, “Pimento and Hot Pepper – The Mento Story”, you can learn more about it here. A Hubert Porter compilation CD has been released. A Mento-Gospel section has been added to More Middle Period Single Scans page. Record Collector magazine has an interview with me in the December 2017 issue about the joys of collecting mento records. Even more sad news. Albert Minott, lead singer of The Jolly Boys has passed away. More sad news, as Jolly Boy Joseph 'Powda' Bennett has passed. Sad news comes as the last of the great golden-age mento producers, Ivan Chin, has passed. A double CD collection of golden age tracks called "Mento, Not Calypso" includes some some previously uncollected tracks that make this collection quite necessary to own. Break out the cake, it's this web site's tenth birthday! Content is frequently added to this site. Page updates are listed below. Tis the season for the release of a brand-new/old digital single of Christmas mento from The Jolly Boys. A new page has been added to cover mento from countries other than Jamaica. A new page has been added to fully describe an old, truly one-of-a-kind mento album. The unstoppable Blue Glaze Mento Band has a new CD with guests familiar to reggae fans, including Toots, Bunny Wailer, Stranger Cole, Sticky Thompson, Dean Fraser and Lee Jaffe. Video clips of Blue Glaze and Toots Hibbert recording this album can be seen here. 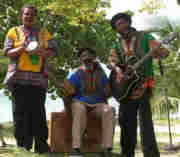 A good new mento CD by The Tallawah Mento Band has been released . 36 photos of The Jolly Boys February 24, 2011 NYC gig at the Hiro Ballroom have been posted. The new Jolly Boys CD, "Great Expectation" is now available, and its a hit! A new CD, called "Sweet Sweet Jamaica" has been released by Gilzene and The Blue Light Mento Band was released. A new compilation, "Sound Man Shots" on the Complete Roots label, gives us 19 mento sides on CD -- more than half not available elsewhere -- plus more. Courtesy of Dan Neely, video of a June 2009 performance of Toots And The Maytals' "Sweet And Dandy" by The Blue Glaze Mento Band has been posted to the "More Resurgence CD Scans page" here. The Jamaica Association of Vintage Artistes and Affiliates (JAVAA), has announced its a second group of ten inductees into its Hall Of Fame. Included are producer Stanley Motta and Frat's Quintet. Also inducted were Bob Marley, Jimmy Cliff, Prince Buster, Sonny Bradshaw, Otis Wright, Alton Ellis, Byron Lee, and the Merritone Music label. Last year's inductees can be seen below. More than 50 years after its release, Capitol Records finally released Lord Flea's "Swingin' Calypsos" LP (along with its follow-up single) as bonus material on a Harry Belafonte CD called "The Early Years At Capitol Records". Video of five songs from a live 2003 performance by the late Stanley Beckford with The Blue Glaze Mento Band (featuring the late Vincent Price) have been added to the Stanley Beckford page. YouTube mento video links have been added to various pages on the site and are collected on the Mento Videos page. The Jamaica Association of Vintage Artistes and Affiliates (JAVAA), celebrated its fifth anniversary on Friday with the first induction for the Jamaica Music Hall of Fame, saluting a wide array of musical icons from mento to reggae. The salutation was not only for on-stage performers, but also for those behind-the-scene unsung heroes and one noteworthy institution. It was a well attended history-making ceremony held on the lawns of the Pegasus Hotel. Seven of the individual inductees were honoured posthumously. These were legendary folklorist/poet, Louise "Miss Lou" Bennett-Coverly; master drummer and founder of the Mystic Revelation of Rastafari (MRR), Oswald Williams, aka Count Ossie; pioneer mento/calypsonian, Norman Thomas, better known as Lord Flea; founder of the Alpha Boys' School, Sister Mary Ignatius Davies; legendary producer/director, Vere Johns, who founded the famous Opportunity Hour talent contest, legendary record producer, Clement 'Sir Coxsone' Dodd of Studio One fame; and giant record producer Arthur 'Duke' Reid. 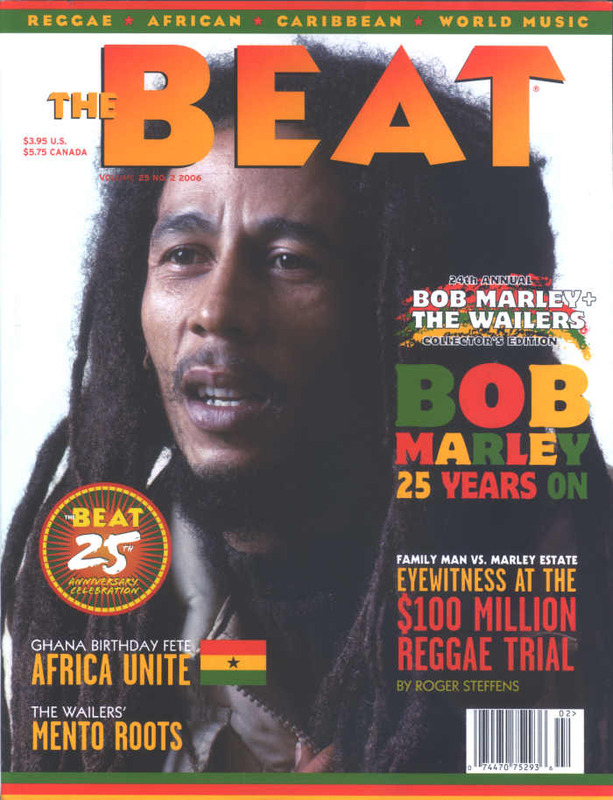 The original Wailers - comprising Bob Marley, Peter Tosh, Bunny Wailer, Junior Braithwaite, Beverly Kelso and Cherry Green - were also inducted. Of the group only Bunny Wailer, Kelso and Green are alive. Don Drummond, Roland Alphonso, Tommy McCook and Jerome 'Jah Jerry' Hinds (all deceased) from the immortal Skatalites were also honoured. Lyrics and a sound clip have been added for "Robusta Banana" on the Count Lasher page. A new mento t-shirt is available. 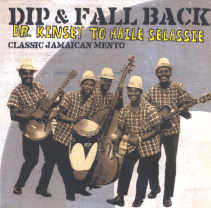 It features an illustration of mento musicians taken from a vintage 1950s Jamaican album jacket. Monty Alexander, who is a revered public figure in his native Jamaica as well as a renowned jazz musician in this country, brings together an ensemble of musicians from neighboring islands and cultures to celebrate the musics of the Caribbean. The first 30 minutes of the set will focus on Trinidad/Calypso, with guest appearances by leading exponents of the form. The second 30 minutes will focus on Jamaica/Mento and will include a 4-man singing group who play banjo, guitar, rumba box and maracas. Amongst the performers were be Joseph Bennett of The Jolly Boys, Albert Morgan of The Happy Smilers, Carlton James, reggae's Dean Fraser, CedricBrooks, Pluto Shervington, and many others. It was a great night! A show review with photos can be seen here. Folk/mento video from 1939 has been added to the Video page. A separate page for Arthur Knibbs has been spun off with new content. Two new CDs by former Jolly Boy Allan Swymmer are now available. A sixth (and probably final) CD volume of Chin's Calypso Sextet has been released by Ivan Chin. Very sad news, as Stanley Beckford has lost his battle with cancer. Alerth Bedasse, lead singer for Chin's Calypso Sextet died on March 5th of a stroke. He was 79. A scan of the rare 50 year old paper sleeve from a Chin's Calypso Sextet single has been added here. This web site has turned 4 years old and has just had its one millionth hit. An "I Love Mento" design has been added to the "Mento Shirts" page. Bad medical news for Stanley Beckford has been reported by The Daily Gleaner. Information has been added for anyone who would like to contribute money to Stanley's mounting medical bills. The Mento Video page has been updated with a clip of The Joy Makers and a complete song by The Jamaica Folk Singers, taken from an unlikely source. A RSS feed for this site has been set up, for those of you that have a RSS reader. Just click on the icon to subscribe. An overdue Lord Fly page has been spun off, with new content added. 8/12/06. Updated with additional content: 8/26/06. Louise Bennett has passed at the age of 86. An obituary can be seen here. A Chin's Calypso Sextet design has been added to the "Mento Shirts" page. "Bob Marley & The Wailers and Mento page. 13 tracks not found on other CDs? Yes! 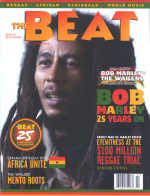 In late June 2006, Pressure Sounds will release "Take Me To Jamaica (The Story of Jamaican Mento 1951 to 1958)". A review has been added to the "Can I Buy Mento?" page. 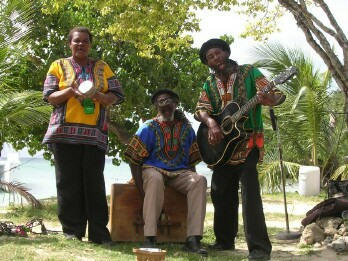 The Overtakers are a mento trio out of Negril who will be touring the US & releasing a new CD in October. For details, watch their web site. Mento in Manhattan?! Yes, thanks to Monty Alexander, and that was only part of the story. Early this year, a Clash tribute was released that features a mento rendition of "Junco Partner". For the inside story, including the NYC-based band members that may be familiar to fans of this site, visit this web page. April 2006, Trojan will release the two CD collection: "Dip and Fall Back! : Dr. Kinsey To Haile Selassie - Classic Jamaican Mento".Visit the Can I Buy Mento? page for more on this upcoming release. Also, visit the News and What's New Archive for previous news listings.